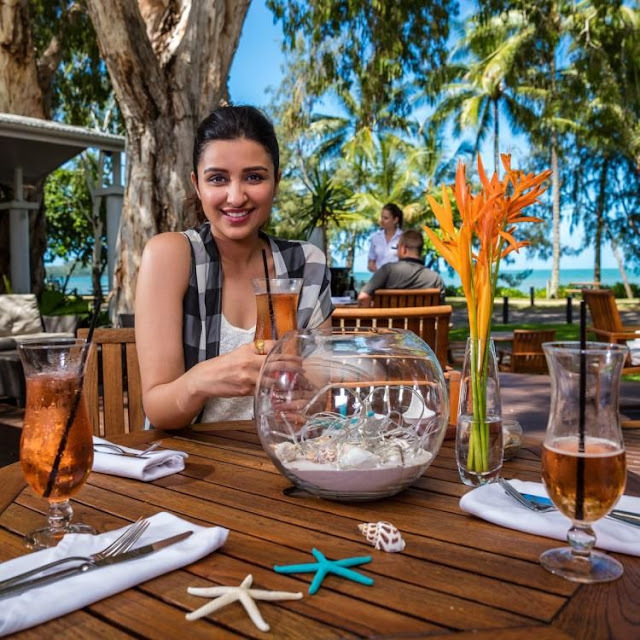 Parineeti Chopra grabbed all the eye balls when she recently posted pictures of her exotic vacation in Australia. Her timeline was flooded with photos of her posing in the serene and picturesque background of the lovely country. From Snorkelling to Scuba Diving, Adventure Sports to Hot air ballooning, Parineeti has tried her hand at everything in this trip. Ask Chopra why did it take 14 years for her to visit Australia and she says, “It was just the timing I guess. First I was studying in school, then I went to college and then I started working. Years just passed and work didn’t take me there. Whenever I was planning holidays, Australia never happened. I guess it was the timing thing. But now I am glad that it happened. I feel everything happens for the best. I think God had written a great trip for me." With the Kill Dil actress participating in so many adventure activities, one wonders which one did she enjoy the most? "Well I enjoy diving anyway. Whenever I go to a place which has diving, I carry my own kit and equipments. And diving at the Great Barriel Reef is undoubtedly the best experience in the world. There is no place more beautiful than the Great Barriel Reef for the divers. Also, having a Koala was a big thing for me. We don’t get them anywhere else in the world. The Australian government gave us the permission to be able to hug them and that was definitely a big thing for me. That is surely the Australian thing that I did. These two would be the highs of my trip,” reveals Parineeti.